Please come along and join us! This group is open to all those who have mastered the basics of sailing and wish to hone their skills midweek. 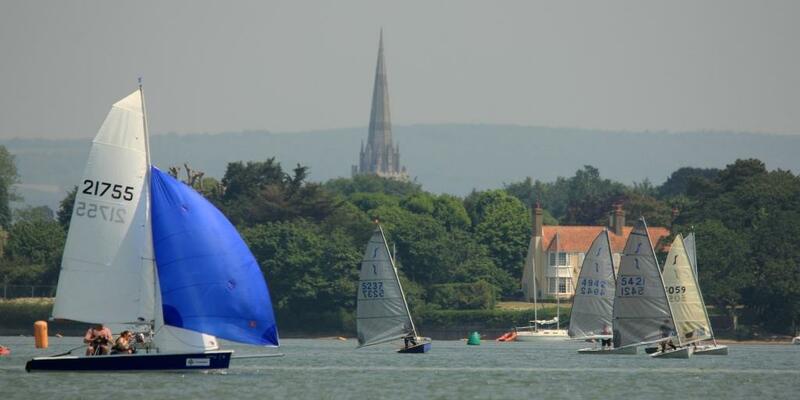 It offers coached practice time on the water in a relaxed and supportive setting. There is mutual help with rigging and launching, tea and cake, and time to chat as well as go sailing. If you are interested in joining us, or have any questions, please contact the coordinator Jo Dipple (jo@eurekadevelopment.co.uk) and/or the CYC office (office@cyc.co.uk). We ask that you let us know if you intend to come along to a particular session at least 48 hours in advance; additional information is often communicated via the What’s App coaching group. If you don’t own your own boat, you can book and hire one of the club boats for the day. If you are a beginner, we suggest you sign up for one of the courses available through CYC office first, and then come to Midweek Sailors to gain experience. Midweek Sailors is good fun, good practice, and great for building confidence. If you are new to the club it is a perfect way to get to know others, and for more experienced members, offers an opportunity to spend more time on the water with coached support in a relaxed atmosphere. So, if you’re thinking about club racing in the future, are a little rusty, want to gain confidence when it’s blowing, or simply want to get out on the water for some midweek practice, then come along and join the fun! Please note that start times vary according to high tide that day. We aim to start promptly so that we can all get on the water at approximately the same time, and help each other where necessary.